Stoloniferous, perennial succulent with basal rosette of spiky, narrow leaves. 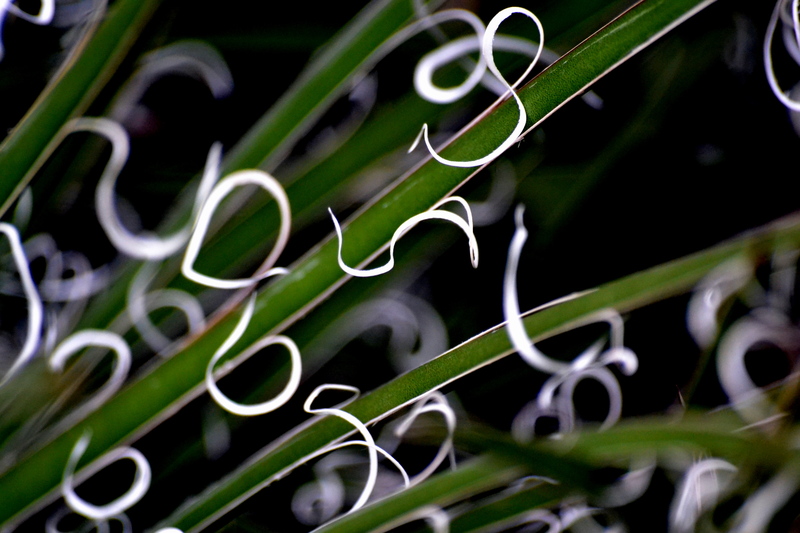 Leaf margins break away leaving long white thread-like fibers. Bears a tall flower spike from the center. Flowers are yellow to green, bell-shaped.